This is the Buff-tailed Coronet - I think. I’m in the steamy Ecuador cloud forest but on very thin ice when it comes to knowing my birds. But I’m learning. Photography and birds. Since I started in photography they’ve made things much easier. We no longer need to worry about the cost of film. We have autofocus. And a ‘Steady Shot’ button, an over-exposure warning, and ISO 60.000 and Photoshop. I believe there’s even a button on our cameras which - if pressed - gives you the feeling you’ve taken the picture yourself. So, great, bring on the feathered dinosaurs. 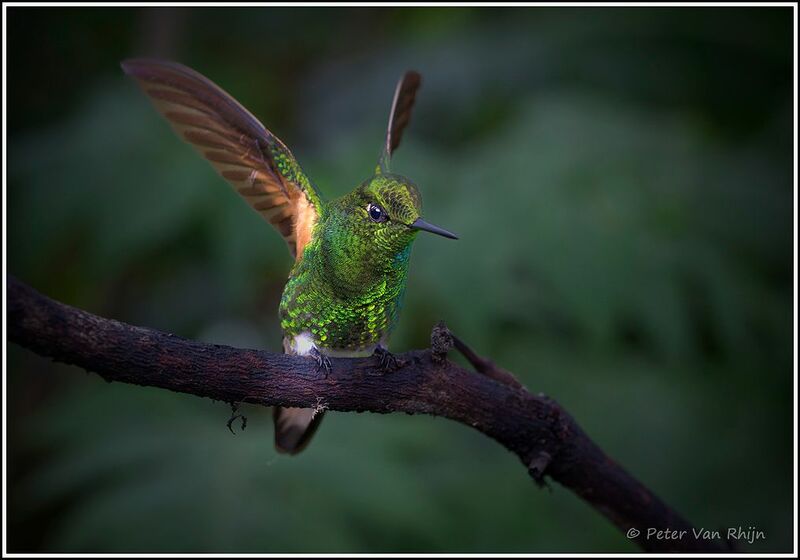 In Ecuador’s cloud forest, the wild birds come free with the cost of a room. The birds will actually sit still for you. Well, briefly anyway. This image was made with my Sony @7R M2 and my 70-200mm F4, G OSS zoom.